I have been approached lately by Urbanity2030 to become an ambassador for them and after obtaining one of their boxes I gladly accepted. Essentially, Urbanity2030 is a monthly subscription service which includes fashionable sunglasses depending if you pick 'him' or 'hers' box for the month. They have also started branching out and your monthly boxes can now include a single piece of jewelry if you change your box type. Their basic 'his' and 'hers' boxes cost around 10$. Seeing as how they are located in the states if you are like me and are located in Canada or elsewhere there will be additional fees and conversion from US dollars as well. Overall, it cost about a little under 20$. Luckily, when I became an ambassador for Urbanity2030 they gave me a promo code that I could share with my followers and readers. My Promo code: AmandaW for 20% off your first box. You will most probably laugh at what I am going to say but for me wearing sunglasses is a luxury. I have worn glasses for as long as I can remember and I was always told that I would never be able to wear contacts. But almost a year ago I went to a different specialist and I was able to get contacts! Rigid contacts which originally were a bit difficult to adjust to but I was really motivated. Once I was able to wear contacts wearing sunglasses and buying them is a no brainer. Plus I have super sensitive eyes and I look damn good in shades. As evidenced from the picture below. 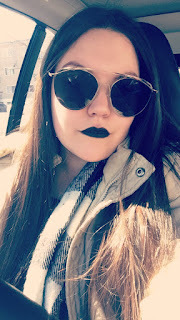 I do have to say that I am pretty happy with what I received because buying a pair of glasses and not knowing what they look like can be frightening for anybody. 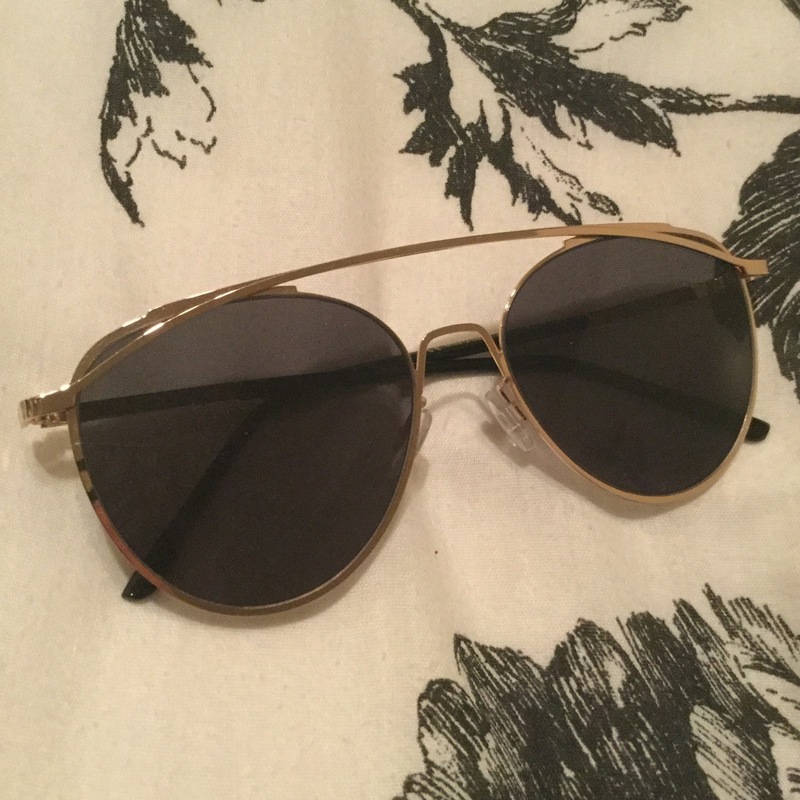 As you can see from the close up of the sunglasses below they are quite stylish and pretty broad as well so as to cover a good portion of the face. I will admit that I wasn't entirely thrilled when I opened up the box and the sunglasses were placed upon packaging shredded paper and within a plastic Ziploc bag. The way it was packaged to me was extremely disappointing. I expected better packaging. It would've been nice if the glasses were placed in a fabric pouch with their own logo on the pouch. Personally, I believe that would be good branding and marketing as well. Furthermore, I like the style of the sunglasses but I am not overjoyed to the fact that they have the plastic nose grip. You know which ones I'm talking about. I'm referring to those who get stuck in your hair if you put the shades on top of your hair. I prefer sunglasses with nose grips that are built in with the shades so that if you place them on top of your head they don't end up getting tangled into your hair. I am going to give this subscription box 4 out of 5 stars. I am super happy with the sunglasses that I received. Every time I wear them I feel so bougie and I feel so confident. They really are a confidence booster. I am, however, disappointed in the way it was packaged. The whole nose grip issue is not that bad considering how much I love wearing the shades. You guys can also check out the video below to see my unboxing video and to also see the shades up close. I definitely recommend for you to guys to check out Urbanity2030. Who knows you might find your next favourite pair of sunglasses. I have read so many articles or reviews about the blogger lovers however this post is in fact a fastidious paragraph, keep it up. I'm happy to hear that! Let me know how your presentation goes!